If you are planning to visit here in Clark Pampanga Areiv Inn is the perfect choice for staying accommodation, because of their affordable prices and very convenient rooms. They have 11 rooms including WiFi and free amenities. 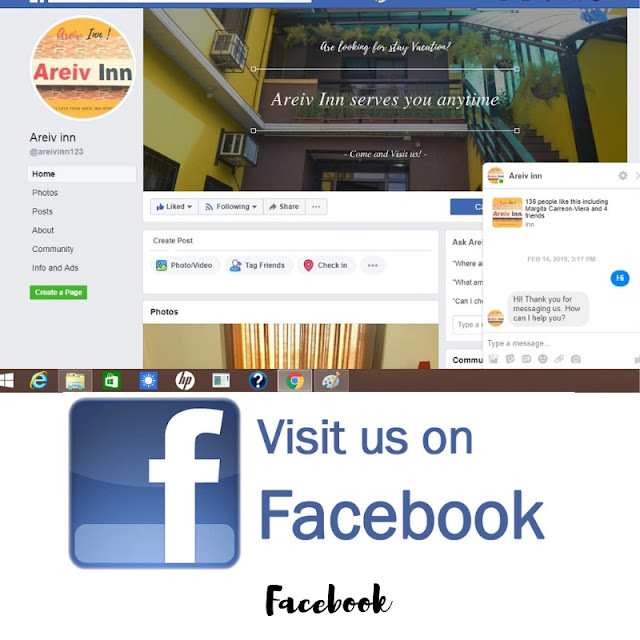 Areiv Inn located at Block 2, Lot 7, Purok 2 Mac Arthur H-way Mabiga Mabalacat Pampanga. Areiv Inn is near Clark Pampanga. When you decide to go to Aqua Planet or going to Clark events such as hot air balloon Manila Color run and many more. 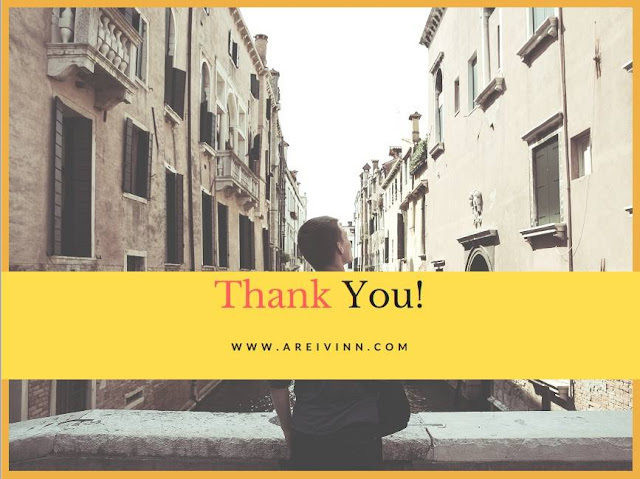 Areiv Inn is perfect to serve you. Areiv Inn has 11 rooms, Standard, Family, Barkada, and Suite Room. 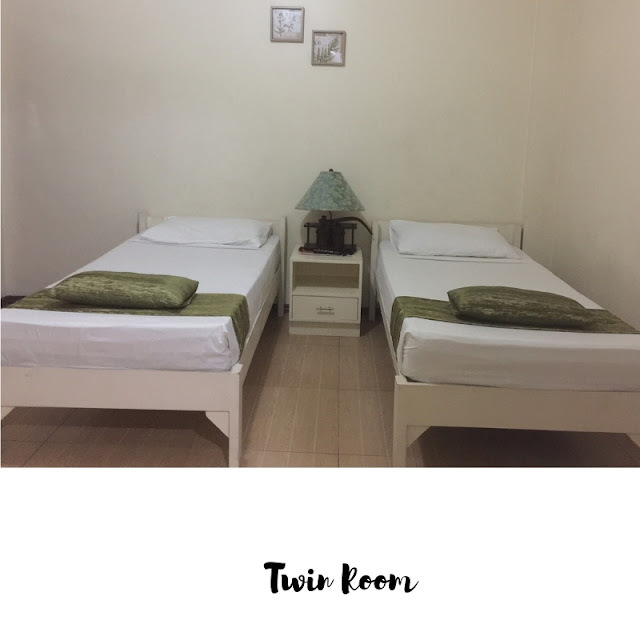 for Standard room can accommodate 2 persons. 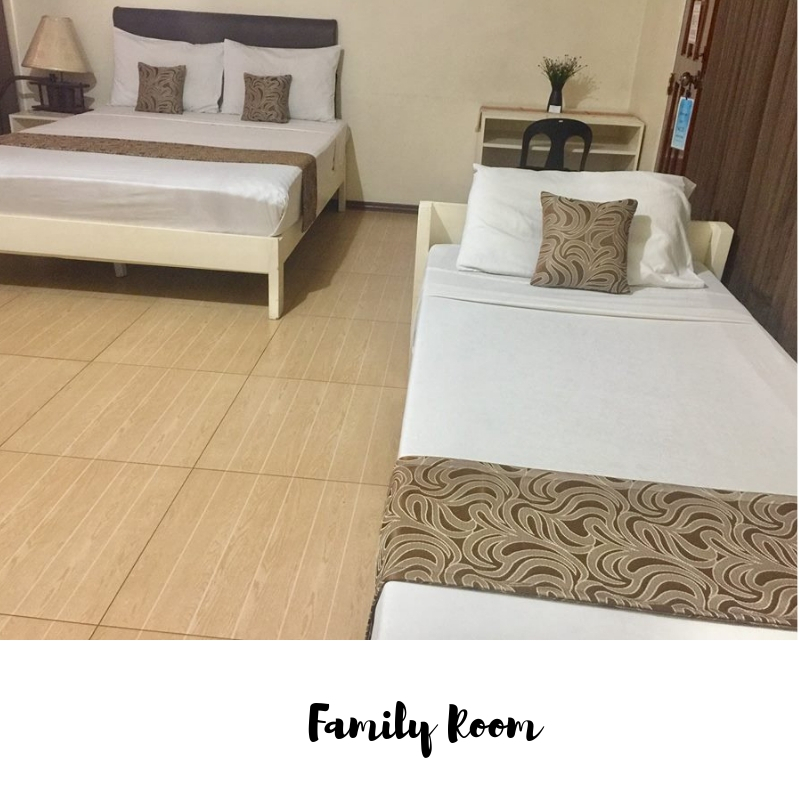 Family room good for 4 to 5 persons and Suite room good for 6 to 8 persons with extra bed. Here are the rooms. Areiv Inn has a cheap and good rate that can afford for all customers. Here are the rates. How about other people in other countries? You can book your reservation online. 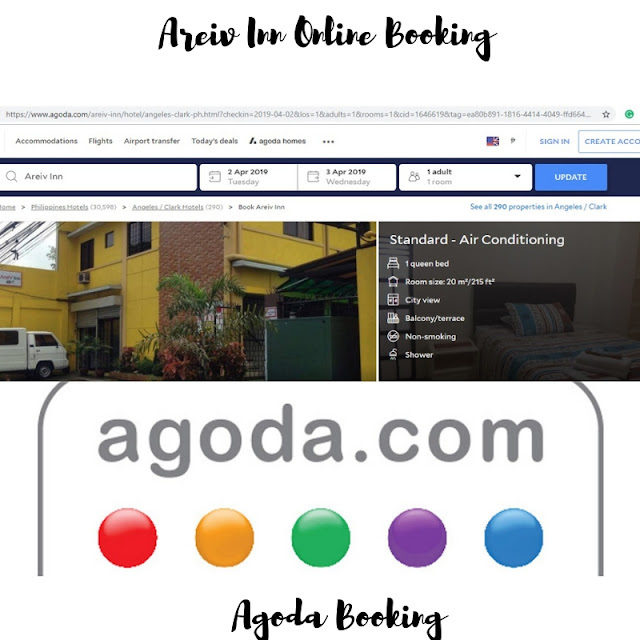 You can use your credit card for payment and you can choose your date for booking reservation with the partnership of Agoda and Admin Booking or maybe you can inquire via Facebook. Areiv Inn is also easy to locate because the location is along the Highway. 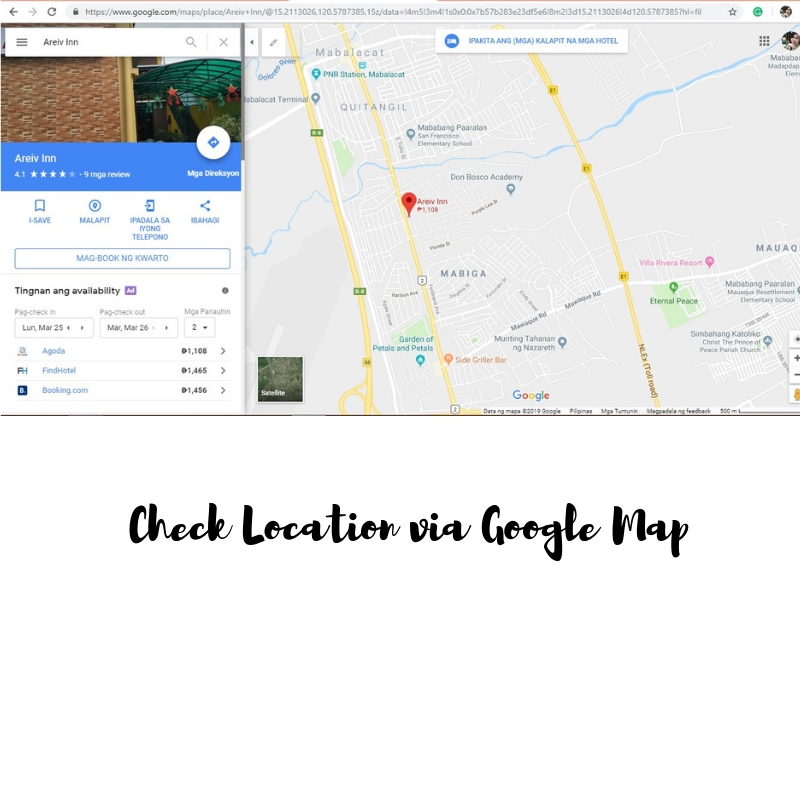 You can search it via google map. 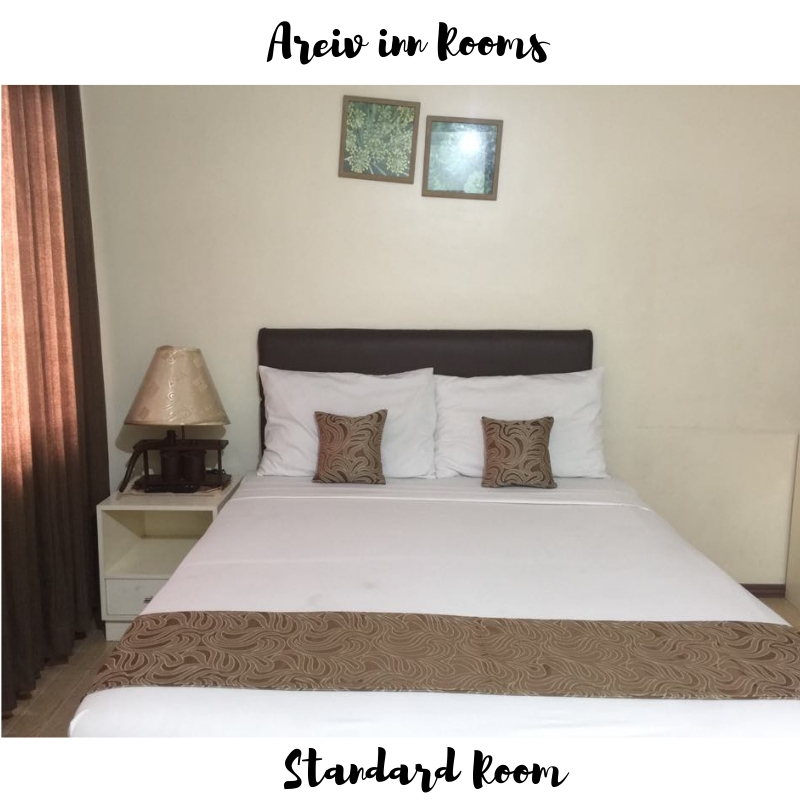 Areiv Inn is also trusted when regards to cleanliness and services. Many customers have a lot of great reviews because of good services and hospitalities. Book your reservations now! For more details please contact this number. 045-649-5038 or 0908-9450-209 or email us areiv.inn@gmail.com. This hotel looks very comfortable and affordable. Thanks for sharing. 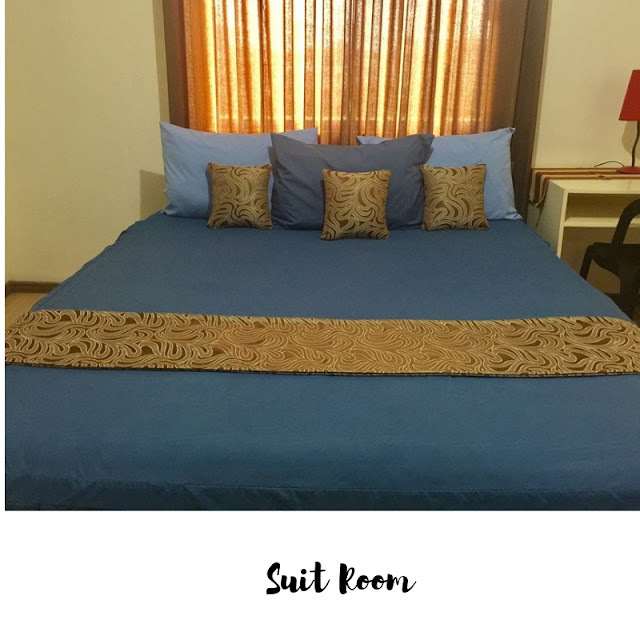 The standard rooms are good especially the bluish ones. 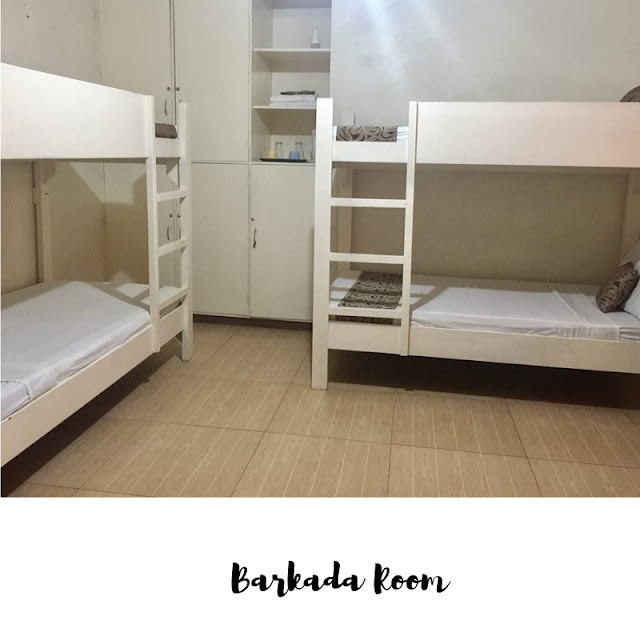 Barkada room also has different combination of setting. The inn looks cosy and has lovely amenities. I would love to check myself in there. Your captures are great. Wow this looks really amazing. Thanks so much for sharing this with all of us! That's pretty neat that they have so many types of rooms. It looks like it could accommodate groups of almost any size. 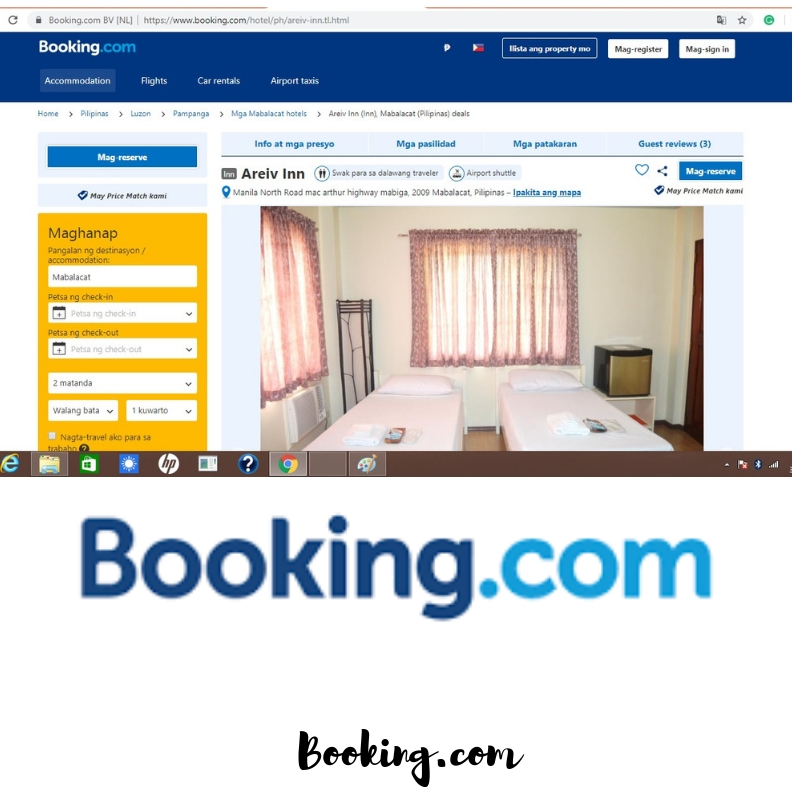 It's great to see affordable and clean options that can be booked easily online. So often when you're wanderlusting through a country you can find some not so great places to stay! This looks great for accommodating big groups or families with so many room options! Great value for money, the rooms look clean and comfortable and it sure has that homely vibe that we are all looking for! Their rooms are so cute and cozy looking! I LOVE the bunkbeds - my kids would flip over that! The rooms look so comfortable and I like that they have different types of beds for different types of family. THat's good to know. This would be worth a visit and they have really neat and nice beds. I like the orange with the white style because that work the best together. The beds look so comfortable! I have twins so having two other beds is a cool thing! It looks like a lil airbnb! Love that it has all u need and is clean. Glad you had a great stay. That hotel looks so cozy and inviting! I will look into them if I am ever in the area! The Areiv Inn in Clark Pampanga certainly looks spacious. I like reading that it gets consistently high marks in the "clean" category- absolutely my make or break for accomodations! I haven't seen hot air balloons for awhile. We are overdue! This inn looks really nice. The place looks lovely and clean which is always a plus for me when choosing where to stay. Wow, it's was just near, I better check this out. Such a wonderful hotel. Thanks..! I've heard many good things about the place. It is pretty simple and elegant. This is perfect for family trips. Inns can be so affordable than actual hotels. If I was to move in to Areiv Inn, I'd go for the suite. It looks very clean and it's also affordable,would check in there ! Sounds like a wonderful inn, all the rooms look very comfertable! Thank you for sharing this location. It looks like a great place for a future visit. The rooms look pretty decent to me and the price is really affordable! thank you for the tip! This looks like a very nice and clean place to stay during vacation and I love that it's so affordable! Thanks for sharing. 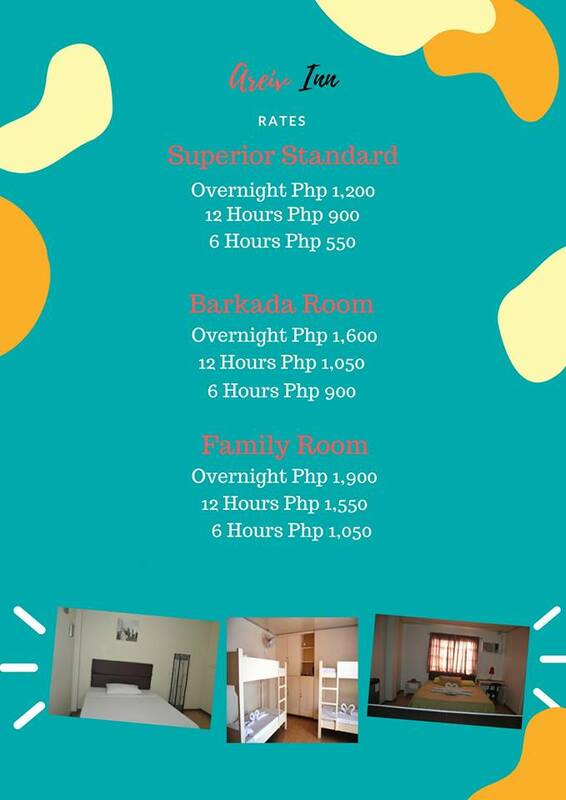 Uy, Ariev Inn is so affordable. Will keep this in mind the next time we are in Clark. Ariev Inn looks not only affordable but also a clean and cosy place to stay on vacation. I am going to share it with my friends too. Thanks! It does not look grand or breathtaking but it looks clean. I hope service is excellent. I have never been to manila. I will consider this when i visit one day! Great value for money here. I like the look of the standard room. Very nice and spacious. Looks like a great place to stay! Thanks for sharing such a quality review. Wow! This looks decent for a very low price. I would very much love to stay there when we go back to Ph next year. Good thing pampanga is included in the itinerary. Hi Kindly Pm me on Instagram I'm looking forward doing collab with you. Here's my IG account @amayszingblogs Thank you.